It doesn’t look like much but as dairy farmers our entire world revolves around it. Our entire farm completely and whole heartedly depends on it. It is corn silage. 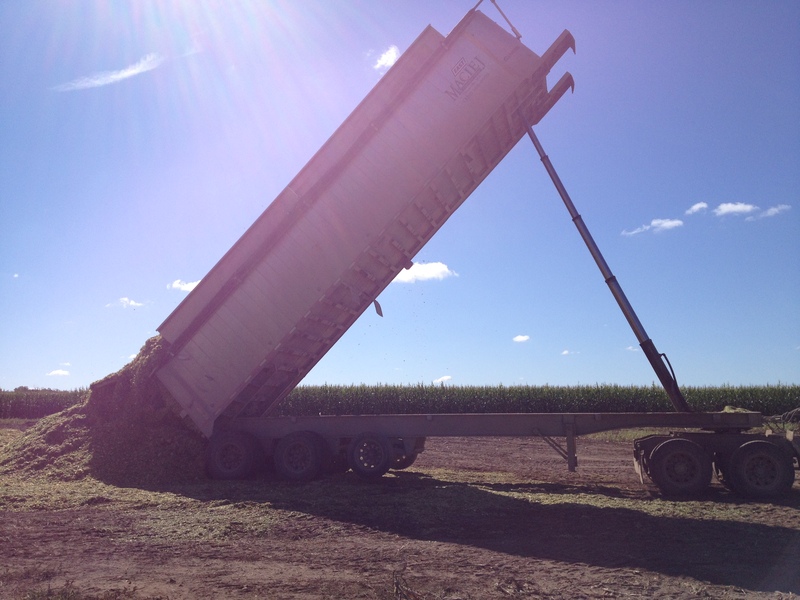 Corn silage is when the entire corn plant is chopped up into tiny pieces. Think of taking a stalk of celery and cutting it into pieces. That is exactly what happens when you make corn silage, just on a bigger scale. 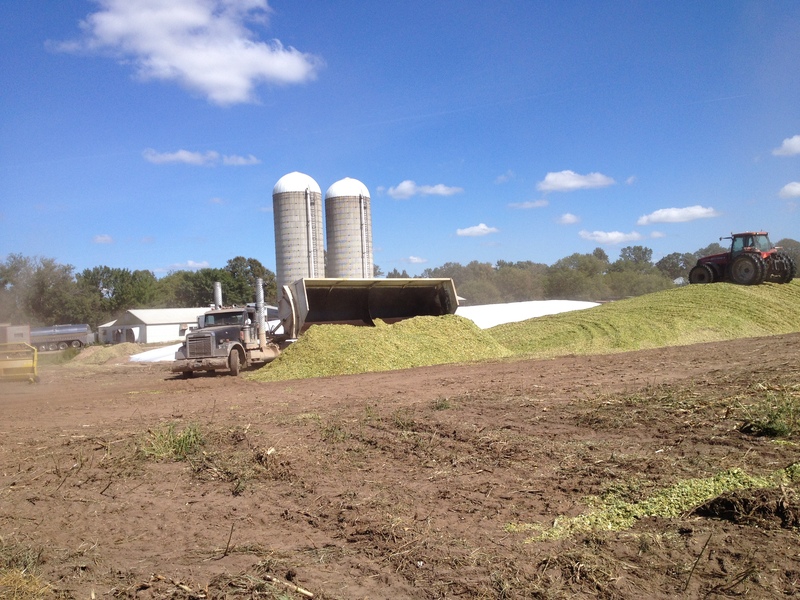 Whether you are a big dairy or a small dairy corn silage is a necessity. 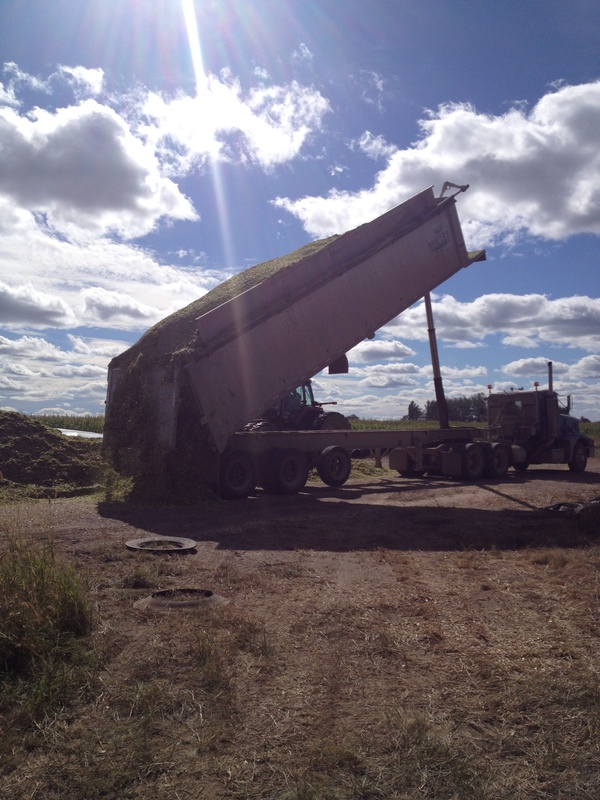 Corn silage can be stored in silos reaching for the sky, long white bags laid on the ground or piles packed tightly with the weight of tractors then covered tightly with plastic. 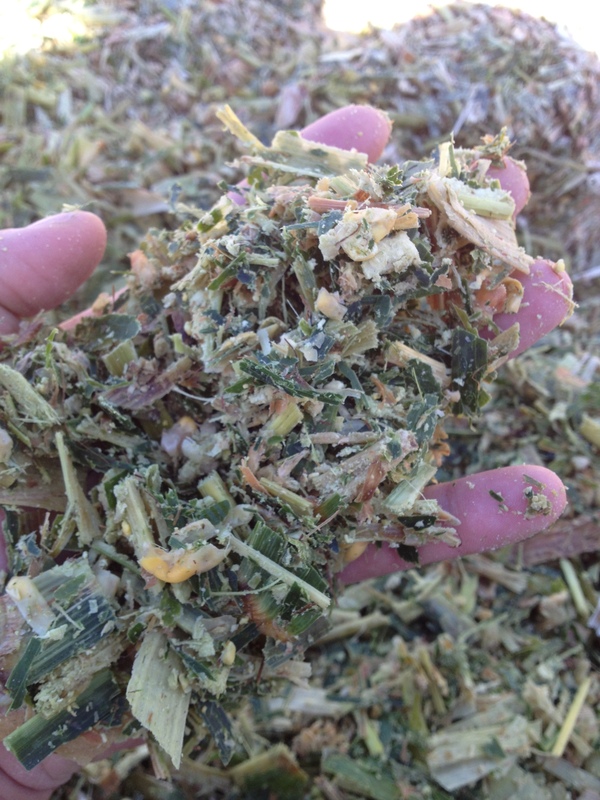 The quality of silage determines so many things on a dairy farm. It determines the quality of milk that is produced. The pounds of milk each cow will produce. 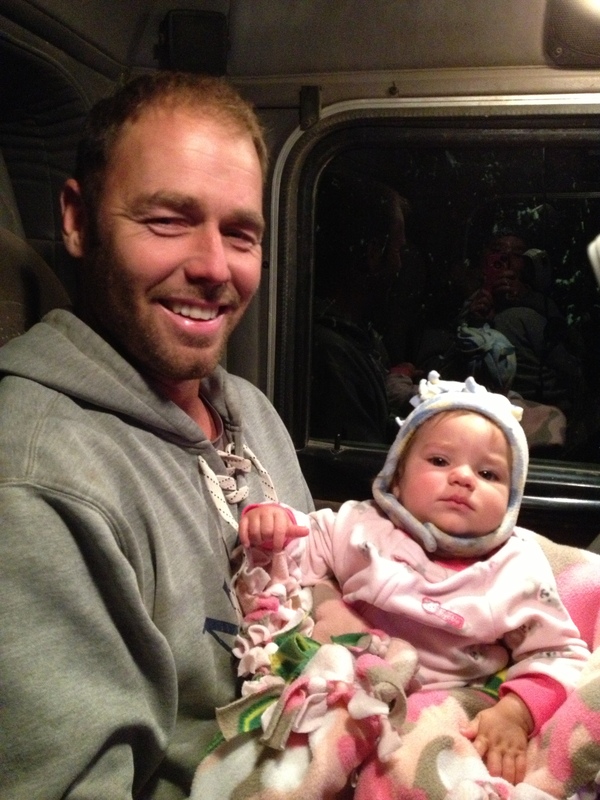 It determines the health of each and every animal on our farm from calves to milking cows. When corn is chopped in the fall every dairy farmer needs to ensure that they have enough corn silage to feed all of their cows and young stock for an entire year. Talk about meal planning. So that means that when we plant in the spring we need to plan how much corn silage we need to grow to ensure the health of all of our animals. 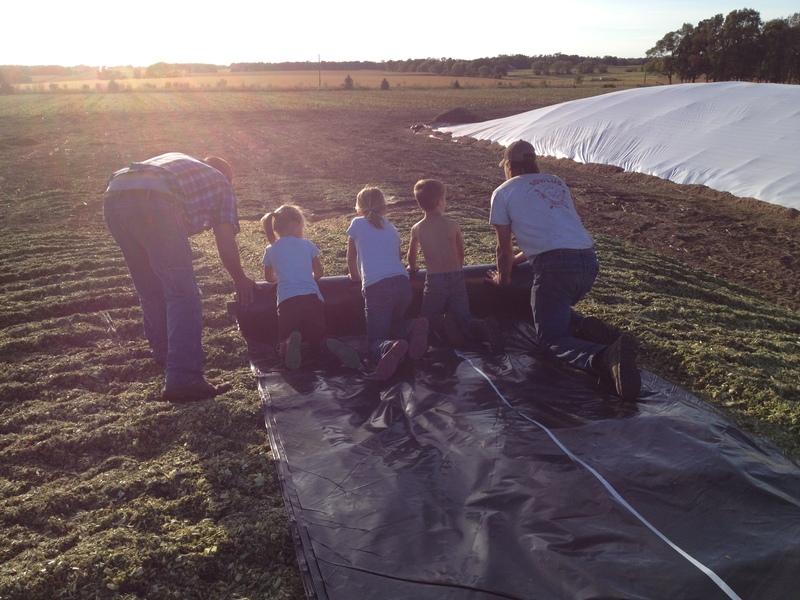 Every dairy farmer small or big, big or small needs to ensure that they have enough silage in the fall to feed their cows for the entire next year! An entire year! Our world revolves around corn silage. Corn Silage is chopped in the field by a chopper and then is brought to the yard either by silage wagons pulled by a tractor or even semis haul corn silage. So the next time you are behind a silage wagon or a semi hauling silage be patient and give them space. That silage might not look like much but it is ensuring that you have milk with your cookies, yogurts for your lunch, cheese sticks for a snack or cream for your coffee. 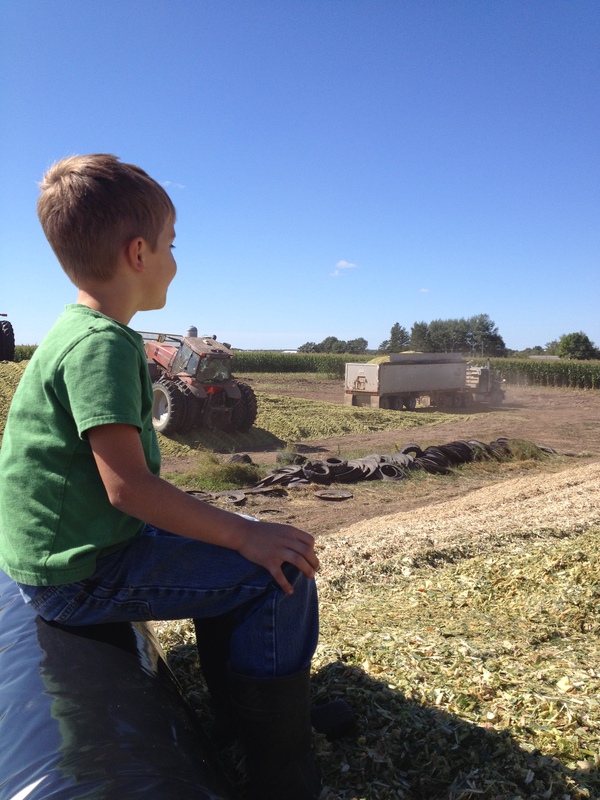 Corn silage means everything to us. You sure do have a way with words! Well said my friend! !